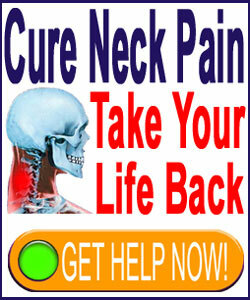 Suffering a neck pain relapse is one of the worst fears of anyone with a past history of severe cervical spinal agony. Ironically, fear of suffering a relapse is often a major cause of recurrent symptoms. 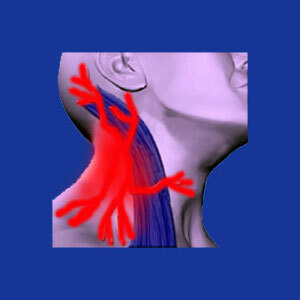 Neck pain often presents itself to be an episodic problem, with patients suffering multiple acute attacks over time. In some instances, the continuance of recurrent flare-ups might eventually lead to a chronic neck pain syndrome that will victimize patients every day. Relapses can be caused by many different factors, depending on the particulars of each patient’s condition. Therefore, patients are sometimes confused about the best way to prevent neck pain from striking again and occasionally actually do things that facilitate recurrent flare-ups. This patient guide helps neck pain sufferers to put pain in their past and minimize the chances of suffering new acute symptoms in the future. We will examine the most common reasons why flare-ups occur and provide expert guidance for increasing the chances of remaining pain-free. Fear is a major problem for anyone who has experienced even a single bout of intractable neck pain. The extreme misery of the worst types of misery can cause a person to dread having to suffer to that degree ever again. Fear is a strong emotion that drives many anatomical imperatives, including the flight or fight response. Chronic fear can cause a stagnation of flight or fight, overloading the autonomic system and leading to a breakdown in physical and psychoemotional health. This is true regardless of what type of neck pain has been previously experienced or its original cause. Patients often live in a self-constructed “worst case scenario” mindset, constantly imagining what another attack would do to their lives, their work prospects and their ability to handle responsibilities. This breeds an emotional state that signals real chronic trouble to the body and brain. Emotional overlay is a word used by many healthcare practitioners to describe the effect that negative emotions have on organic pain conditions. Virtually all medical professionals subscribe to the idea that fear and anxiety can worsen pre-existing health problems, such as neck pain. These unproductive emotions cause chronic anatomical tension that can actually cause pain, even when the initial onset came from injury or spinal degeneration. However, most doctors do not fully understand the idea of psychogenic pain; that is, pain that is created from primary gain in the subconscious mind. These pain syndromes seek to camouflage emotional repressions, negative life circumstances and self-induced personality pressures. Therefore, the continuation of fear really reinforces this smokescreen and keeps the conscious mind exclusively focused on the body. Inevitably, the very fear of having another attack causes a repeat performance of horror for the patient. This is the reality of psychosomatic neck pain and it accounts for far more patient profiles than you might imagine, despite the presence of diagnosed structural abnormalities that might be blamed unjustly for causing pain, when they are actually incidental to the symptoms. Continuing deterioration might exacerbate a previous injury site or may cause prior degenerative pain to recur. Spinal aging always progresses, with obvious and expected consequences seen on the intervertebral discs, vertebral bodies and all the various spinal joints. Although most of these age-related changes are normal and innocent, some may become pathological in rare circumstances. New injury might cause a flare-up of pain is a previous location. Even if the injury occurs in a different location, the inter-relationship and dependency of all the spinal structures might still cause pain to come back at a previous site of discomfort. Scar tissue might form at a site of prior injury, encouraging future symptomatic expressions often associated with anatomical targets that have suffered serious or recurrent stresses in the past. Of course, the emotional factors detailed above can intensify any of these physically-induced pain recurrences through overlay phenomenon. Prevention of pain is always better than treating existing pain. However, when it comes to potential relapses of neck pain, this can be a challenging path to traverse, since some prevention efforts are actually counterproductive. Patients with a history of previous injury should do everything possible to rehabilitate their neck anatomies to prevent recurrent trauma from instability or weakness. Likewise, although it is good to be active and workout the area to aid in full recuperation, it might be best to limit particularly high-risk activities that might cause re-injury and a new cycle of pain to develop. Patients should consult with their physicians about ways to treat and manage degenerative problems in the cervical spine. As previously noted, most spinal aging, including disc desiccation, intervertebral herniation and osteoarthritic formations are normal and universally expected. These should not be the causes of severe pain in their mild to moderate forms. However, if a truly pathological degeneration issue exists, it should be dealt with professionally in order to prevent future episodes of pain. Psychoemotional repression of memories, thoughts, feelings, life-stresses and personal pressures definitely cause pain and other serious health issues. Getting in touch with your emotional self is of paramount importance for people with a history of pain; that is, if they want to prevent future recurrences of suffering. Strangely, becoming fixated on past pain can cause it to recur due to the same emotional scenarios presented in the second paragraph. Therefore, although it is healthy to consider the body’s reactions to emotions, it is certainly not wise to dwell consciously on the body or any perceived injury therein, since the entire preventative strategy here is to concentrate on the psychological self, and not the physical, in order to dispel the nocebo effect of past pain episodes.